The first community radio in Malayalam! Spiritually uplifting content all day and all night. What is Living Voice Online? Our goal is to help spread the gospel message of eternal life through Jesus Christ. Through our mix of solid Biblical teaching programs and inspiring devotional music, we hope to help teach and encourage believers all across the globe and to bring truth seekers to Jesus Christ, the sole Way, Light and Truth. Our English Radio, www.TheLivingVoice.NET is a blessing to thousands around the globe. 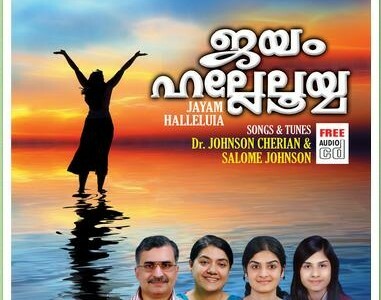 We have several Christian Music Radios in Malayalam which airs quality Christian Songs 24/7. However, our vision about Living Voice Online is to give more importance to the spreading of Word of God rather than concentrating on songs alone and to give opportunity to any one for such a desire to join with us in that effort, without having to invest in time or money. In other words, Living Voice Online is a SOCIAL platform for the Christian community to take part in furthering the gospel of Jesus Christ. Keeping that in mind, we have devised a very unique strategy of broadcasting that air short biblical messages every few minutes and use devotional songs as fillers in between those messages. And these messages, and most of the music, comes from our listeners hence making Living Voice Online a Community Powered Radio. We invite each one of you to be part of this family to build together for the Kingdom of God. What is unique about Living Voice Online? We do not ‘run’ a radio. Rather we just facilitate the collaborative christian content sharing for the edification of the Body of Christ. Our unique model of getting the broadcasted content from the listener community is unique and first of its kind in Malayalam Christian Radio channels. Do you have a God given message that you want to share with the fellow believers but does not have a right platform? Do you want to share the gospel but think that you do not have the talent, expertise or resources to do that effectively? 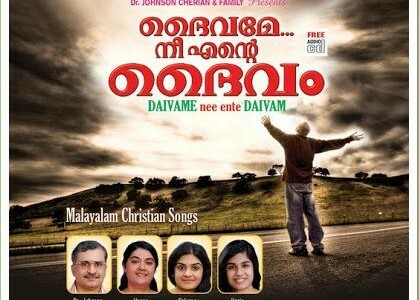 Do you have a music album you want to be shared and marketed in Malayalee Christian Community? That is where Living Voice Online comes in to help you.. Our goal is to equip every believer to become an effective Radio Evangelist. And it cost absolutely nothing to you.. You do not need to have the public speaking talent to take part in this venture.. Click Here to learn more about this exciting project! Share your message or music with us. We will air it for free and provide you with a free platform to reach thousands of Malayalee Christians across the globe. Your Message – Your Voice – Across Nations – As a blessing to thousands! Lets work together to build the kingdom of God. You don’t have to be a Pastor or Evangelist to preach the Word of God. You don’t have to learn Bible in a Seminary to share the gospel. You don’t even have to get out of your couch to be an Evangelist. No Stage? Stage Fear? No Worries.. 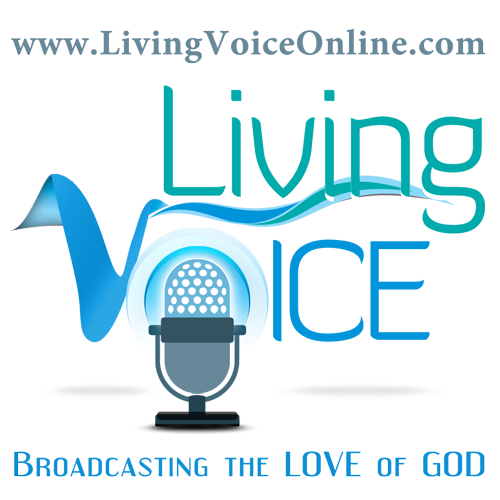 Living Voice Online helps you to be a radio evangelist from the comfort of your couch. Do you have a computer? Or a Tablet? Or a Smartphone? Or the very least do you know someone who has one of these and is ready to help you to record your exhortation/inspirational message? If so, you could simply record a short and simple biblical message/thought or a short story or even your testimony and share it with us. As long as it is of a minimum broadcasting quality, shorter than 5 minutes and does not contradict our statements of belief here, we will add it to our radio as soon as possible and your voice may exhort a fellow believer or a truth seeker for a very long time. 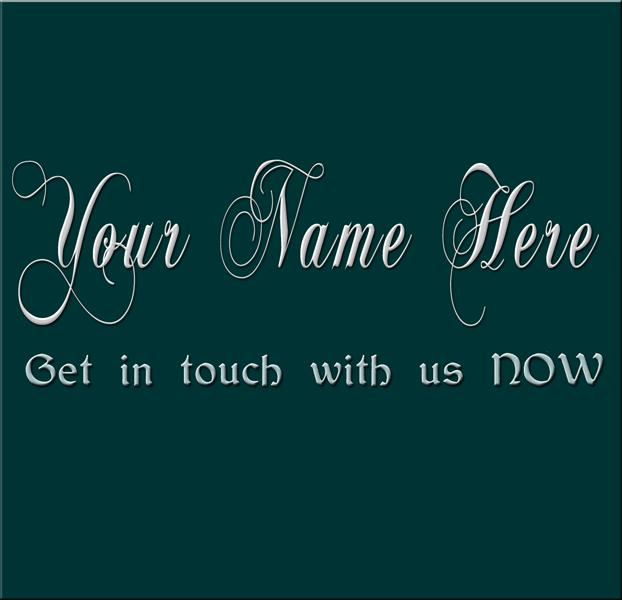 You can either use the form below or the form on our ministry website to send us the recording in MP3. Are you a musician, band owner or artist? Are you looking for a platform to market your content but with limited budget for advertising? We provide the perfect place for you to help further the gospel message. As a bonus, our station can help get free exposure for your music. And the best part? Its absolutely FREE of cost for you.. Rest assured, your content will be safe with us from any copyright violations. We would provide free backlinks (on our contributors page) to your website or social network. For major contributors, we will even provide a write up on your ministry on our contributors page.. In near future, for contributors of full albums, we will try to provide free links to your shopping site so our listeners can purchase your album while it is played. Feel free to use the form given below to send us your album to be featured or contact us with questions if any. You can also upload your album (in MP3) to a file sharing site like Dropbox or Google Drive or Box.com and send us the link using the form below. Send your music to us! By uploading a file using the file upload tool in this page, you certify that you are the legal owner for the file uploaded here and you give Living Voice Ministries the full right to broadcast your content in either or both of the Living Voice radios as deemed appropriate by the administrator without any financial liabilities. Living Voice Ministries will neither reproduce nor share your content. We will not sell your content or make a profit using it. As of now, we can only accept MP3 formats for songs and messages – We are currently unable to convert any WMA, WAV or any other sound formats by our own, due to the volume of song submissions we receive and the limitation of resources we have for processing them. You can use Audacity, a free open source audio software to convert the audio formats to MP3 – Click here for a guide that help you to understand the process of format conversion. Audacity Wiki gives you full documentation to that software. Our website will accept files up to 7 MB of size. 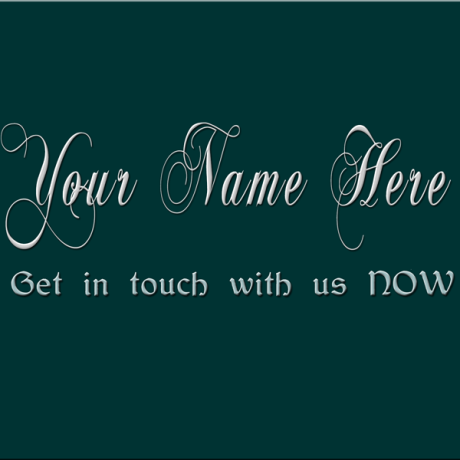 If the file is of larger size, feel free to send it to us as an email attachment or share it with us using a File Sharing site like Box.com, DropBox or Google drive and send us a note using the contact form on this website. Due to the volume of song submissions, our current processing time for reviewing the content to approve/disapprove to broadcast the content is around 15 to 21 business days. If you don’t hear from us within that period, please feel free to send us an email (or use the contact form in this site) with the Subject line “Follow up on Song Submission”. If you prefer to send a CD/DVD instead of uploading the files online, you can send that to the address PO Box 283, Omaha, NE – 68101, United States of America. Please make sure to send an email (or use the contact form in this site) after you have mailed it. Disclaimer: Should any content sent to us contradict our statements of faith or do not meet minimum quality requirements we will not approve it for airing it on Living Voice Radios. We reserve the right to accept or reject any files sent to us for any other reason. 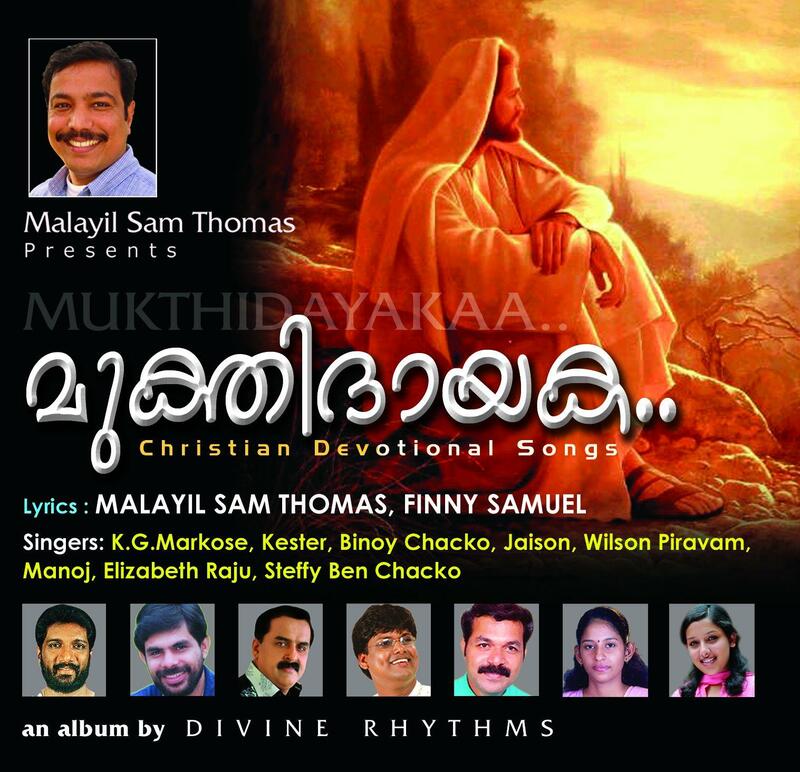 MALAYIL SAM THOMAS PRESENTS a Christian Devotional Album by Divine Rhythms with 14 Melodious Songs. Lyrics by Malayail Sam Thomas & Finny Samuel. Direction: Binoy Chacko & Blesson Joseph. Recording: John & Jacob Studio, Kottayam & Divine Digital, Philadelphia, USA. Production Co-ordination: Divine Rhythms. Marketing: OM Publications, Living Voice, Shalom World Mission & Satyam Publications. 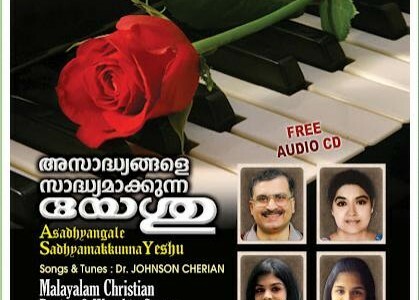 Dr. Ezhamkulam Samkutty presents Athyunnathan, a Christian Devotional Album by Chengannur Tuners. 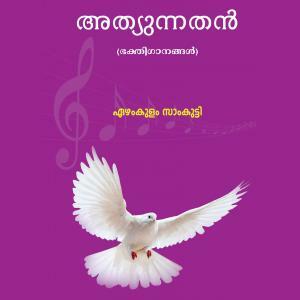 Lyrics by Dr. Ezhamkulam Samkutty. 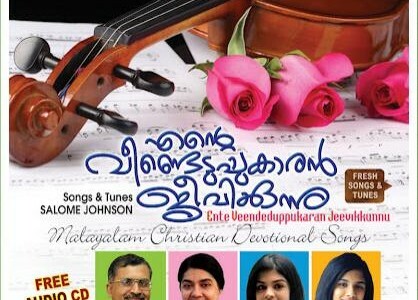 Dr. Johnson Cherian and Family presents a series of a Christian Devotional Albums. JESUS CHILDREN presents, A visual treat for children, teens and youth… A mission project of Trans India Ministries. Lyrics: Noble T Matthew, Vidhya Santhosh, Santhosh Joseph, Betsymol George, Shereenamol, D. Joy, Maheer Pani, Lysa Sreekumar, Mangal Kumar, Sinu Sam, Sabin Deep, J Titus. Are you a song writer or artist looking for that right exposure? If you are a Christian music artist, we provide the perfect place for you to help further the gospel message. As a bonus, our station can help get free exposure for your music. And the best part? NO commissions,NO monthly payments and NO solicitation for donations!! Rest assured, your content will be safe with us from any copyright violations. There is not, and will never be, any option to download any content from our site and we will not share your content with any third party. For contributors of full albums, we will try to provide free links to your shopping site for our listeners to purchase your album directly from you. No commission or affiliate fee need to be paid for your earnings from those sales directed from our site. We would provide free backlinks (on our contributors page) to your website or social network. For major contributors, we will even provide a write up on your ministry on our contributors page.. If you are considering becoming an artist contributor to our station get in touch with us NOW. Together, we can help build the Kingdom of God for His glory. Yes, we do have many quality Malayalam Christian Radios. However, Living Voice Online has a different vision and mission. We envision Living Voice Online to provide a public platform to anyone and everyone to share the Word of God and to provide a free marketing and promotional platform for the Malayalam Christian Music Artists. Our most important mission is to equip any naive believer to take part in evangelism by providing a “Radio version” of “Audio Micro Blog”! So no matter you are an experienced preacher or a regular believer who may not have much experience and knowledge in the Holy Bible, if you have a God given biblical message or a talent and you have means to record it in MP3, Living Voice Online gives you a platform that takes your voice beyond nations to needy people who are waiting to hear from God! Who is behind this radio? Living Voice Online is part of the Project Voice On Radio which is a division of Living Voice Ministries Inc, a Non-Profit Religious corporation registered in the state of Nebraska, United States of America. Is there only Malayalam Content? This website focuses mainly on content in Malayalam language, even if we have a few spots at times, for Tamil and Hindi devotional songs. However, we do run an English Christian Radio named THE LIVING VOICE (www.TheLivingVoice.Net). If your message/music is in English, we add that to The Living Voice which is listened by over 10,000 listeners monthly around the globe! Should I own the content I upload here? By uploading a file using the file upload tool or sending a file/link via email, you certify that you are the legal owner for the file uploaded here and you bear all responsibilities on any claims otherwise, regarding copyright infringement . What rights do Living Voice has on my content? By sharing your content to Living Voice, you give Living Voice Ministries the full right to broadcast your content in either or both of the Living Voice radios as deemed appropriate by the administrator without any financial liabilities. Living Voice Ministries will neither reproduce nor share your content. We will not sell your content or make a profit using it. Would you share my file with any one? Is there a limit of Number of or Size of the files? The maximum size of the files that can be uploaded without registering (in this website) is 7 MB. If your file is more than 7 MB and less than 12 MB, you can upload it via the tool in our ministry site after registering as a user there. There is no limit of number of files. You can send monthly or weekly or daily! Do I have to Pay anything to you? Its absolutely FREE of cost for you… NO commissions, NO monthly payments and NO solicitation for donations!! – If we choose to provide you with marketing links to your content, No commission or affiliate fee need to be paid for your earnings from those sales directed from our site. No. we don’t have any plans to air commercial advertisements on our radio. Why the text in this website is NOT in malayalam? What do I gain by sharing my music through Living Voice Online? If you are a Christian music artist, we provide the perfect place for you to help further the gospel message. As a bonus, our station can help get free exposure for your music. At our discretion, for contributors of full albums, we will try to provide free links to your shopping site for our listeners to purchase your album directly from you, while your music is being played on our site. No commission or affiliate fee need to be paid for your earnings from those sales directed from our site. We would also provide free back links (on our contributors page) to your website or social network and/or promote your album through our social profiles. For major contributors, we will even provide a write up on your ministry on our contributors page.. In near future, we are planning to start a Malayalam Christian Music MarketPlace as well so your content can be sold electronically. What format and bitrate you expect the music be? As of now, we can only accept MP3 formats for songs and messages – We are currently unable to convert any WMA, WAV or any other sound formats by our own, due to the volume of song submissions we receive and the limitation of resources we have for processing them. Please make sure the bitrate for the MP3 to be between 128 and 256 kbps. How should I send my content to Living Voice Online? You can either upload it in this site or on our ministry site. You could also upload the file(s) to a file sharing site like dropbox or Google Drive and then send us the download link using the contact page in this site. What additional information you need along with the music? A short introduction about your band/album, an album artwork (image) of at least 500px wide, any link you want to promote through our website. If your album is already in a eShopping site, provide that link too. What is the processing time for the submitted music? Due to the volume of song submissions, our current processing time for reviewing the content to approve/disapprove to broadcast the content is around 15 business days. If you don’t hear from us within that period, please feel free to send us an email (or use the contact form in this site) with the Subject line “Follow up on Song Submission”. I’d rather send a CD/DVD of my music. What is your address? We have done a study on listening patterns and public interest and found that, in this modern busy lifestyle, very few people have the patience to listen to long sermons that is aired in a radio station. Most people visit an online radio to listen to music or as an entertainment. When we aired long sermons, we found that the rate of disconnection during that time was too high.. However, just like radio and television, most listeners does not mind short breaks or advertisements or informacials while waiting for the next song to be played. We learnt that instead of advertisements as breaks, if we air the Word of God every now and then during the breaks in the music, that would change the lives of people because, God does not need a very long time to act. A single statement or a short message may turned to be exactly what one of the listeners wants and may be a consolation to the tiring situation he/she might be going through or an answer to a question he/she might be asking for too long. Anyone who has a god given message or a talent can send their content to us. You need not be a Pastor or Evangelist (Pastors and Evangelists are more that welcome, though) to preach the word of God or to share the joy of Salvation. All you need is to record it in MP3 using a computer or a Smart Phone or a Tablet or find someone who can help you on this..
How should I structure my recording/message? Any way you want! Listen to the Holy Spirit for the layout of your content. All we ask is that it should be exhorting and biblical. Start with an introduction (You can choose NOT to say your name in the recording, IF you want to stay anonymous), present the content with focus on the key subject and end with a summary as a conclusion. OPTIONALLY, You can decide to add your name and contact details (such as website or email address) at the end of the recording. If you are an advanced technical person, you can add background music (with very low volume) or an intro and/or outro to the recording, but make sure to finish everything in 5 minutes. What type of content can I send? Anything inspirational and less than 5 minutes are welcome! It can be a short message, an experience you had in your relation with Jesus, your testimony, a gospel message, an exhortation, a short story, a thought provoking fiction (like a Bhaavana) or even reading/recital of a biblical passage! What is the quality requirement for the contents? – Turn your fan or A/C or any other appliances which makes a hissing noise Off before starting to record. – The content should not contradict our statements of belief here or should not criticize anyone by name. Can you suggest an Apple/Android/Windows app to record my content? For computers (Mac/PC/Linux), Audacity is a free tool that helps in recording and editing voice. It can also be used to convert other formats to MP3. You can download it from here. You could use your in built voice recorder in Windows too (You may have to convert it to MP3 using Audacity, though). Any suggestions on editing the audio? I’m not familiar with Computer or Smart Phone. Any help? IF you can find someone who would be able to give you a one-to-one basic training on recording your voice in your computer, smart phone or tablet, that would be the best option? Or if you can use someone else’s device (of course with their permission and help) that’s fine too. If both are not possible, send us an email or contact us via the contact page in this site, with your phone number and location and the best time to call you.. Someone from our office will call you to guide you!